We have achieved a great deal over the last few years, underlining the vision and ambition of our previous strategy (BTO Strategy 2009-14). The work that we have done has delivered solid foundations, from which we can develop and grow the reach and relevance of this wonderful organisation as we move towards 2020. Our strategy recognises that the world in which we operate is changing, providing some challenges but many more opportunities. BTO science provides a powerful context for our understanding of the environmental changes affecting wildlife. The observations of 50,000 volunteers, crafted into robust scientific evidence in partnership with BTO professionals, provides the long-term knowledge needed to track and understand change in wildlife populations. We present the results of our outstanding science in a manner that inspires our supporters, informs decision-makers and stimulates a deeper public understanding about the state of our natural world. It is not enough to record our diminishing natural wealth. BTO is committed to interpreting data through observational and experimental research into the causes and drivers of environmental change. We will use this work to measure the consequences to the natural world – both positive and negative – of particular decisions, and thereby inform the choices of policy-makers. Our evidence is renowned for its scientific quality and we have an excellent peer-reviewed publication record. BTO researchers have, for example, been instrumental in identifying the drivers of farmland bird declines and our ground-breaking work on migrant birds, and the way we tell stories about these intrepid global travellers, exemplify how our work makes a difference, not only to the birds but also to the public’s understanding that something needs to be done. Our new strategy will not sit idly on a shelf; it is integrated into the way we do our business, interact with our volunteers and supporters, communicate our findings and work with our partners. Through our new strategy we will work to deliver outstanding science that inspires action for a wildlife-rich world. The development of our new strategy involved discussions with our members, volunteers, supporters and other stakeholders. We want these conversations to continue. Please contact us to discuss the strategy and how you can work with us to deliver the objectives we have set ourselves for the coming years. 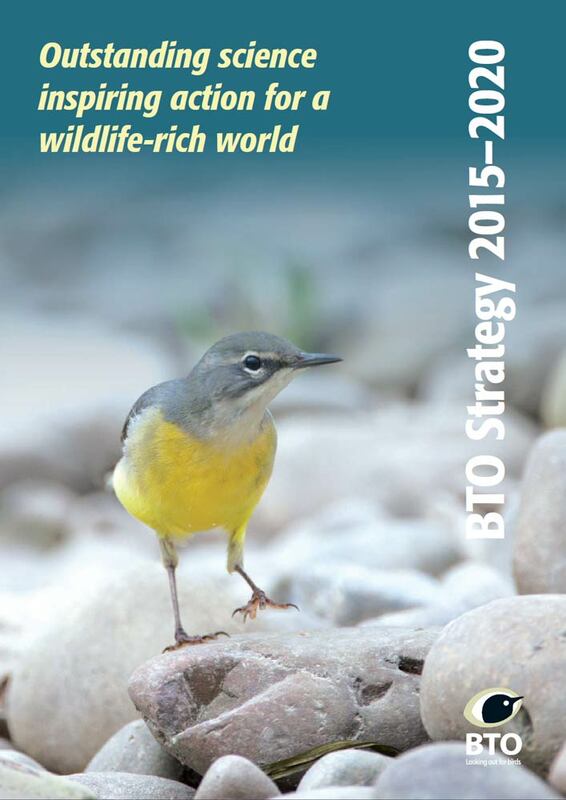 Would you like a member of the BTO team to contact you regarding your feedback?